Muay Thai is a combat sport from Thailand that uses stand-up striking along with various clinching techniques. Muay Thai is Thailand's national sport. The word muay derives from the Sanskrit mavya and Thai comes from the word Tai. Muay Thai is referred to as the "Art of Eight Limbs" or the "Science Of Eight Limbs" because it makes use of punches, kicks, elbows and knee strikes, thus using eight "points of contact", as opposed to "two points" (fists) in boxing and "four points" (hands and feet) used in sport-oriented martial arts. A practitioner of Muay Thai is known as a nak muay. Western practitioners are sometimes called nak muay farang meaning foreign boxer. We utilize Muay Thai to compliment our ground game as a way to bridge the gap between stand up fighting and ground fighting. 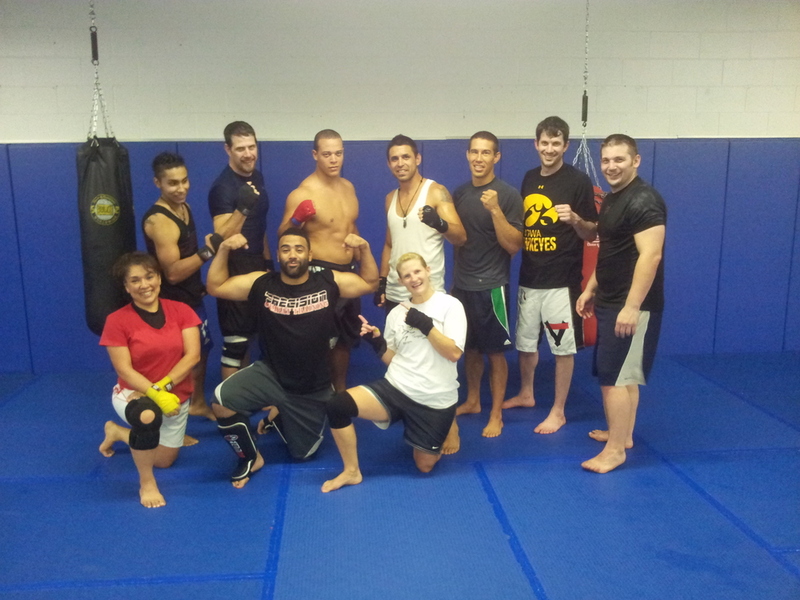 Our style of Muay Thai is a more non traditional Muay Thai.